Peet Bros Company - Manufacturer of advanced electronic systems to measure such weather data as: wind speed, wind direction, wind chill, pressure, humidity, rainfall, and dew point. Motron - DTMF Electronics Manufacturer offers Decoding, Display, Signalling, Data Logging, Remote Monitoring and Control products and design. Sound Card Packet - This amateur radio web site explains how to use the AGWPE utility program to send and receive packet (a digital data mode) using the sound card of your PC instead of a traditional TNC (Terminal Node Controller), a radio modem. Beacons - The W6AMT Beacons is a Windows program which automates the collection of radio propagation data. HF data is collected by monitoring the worldwide network of NCDXF / IARU HF beacons. FreqTweak - FreqTweak is a tool for FFT-based realtime audio spectral manipulation and display for Linux. It provides several algorithms for processing audio data in the frequency domain and a highly interactive GUI to manipulate the associated filters for each. It also provides high-resolution spectral displays in the form of scrolling-raster spectrograms and energy vs frequency plots displaying both pre- and post-processed spectra. ILGdb - Free program that interfaces most ICOM radios with the ILG radio frequencies database and lets you click a station in the database to tune your radio to the station, or scan the list looking for stations that are on the air. 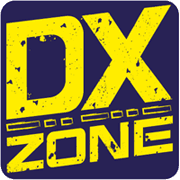 HAMCALC - The function that is actually implemented is a QRB and QTF calculator, but the idea is to make a complete toolkit with DXCC database, logging and so on. DigChip IC database - Provider of electronic components documentation. Offer a reliable tool to find semiconductors components technical information like parts, datasheets, cross reference, obsolete and new circuits.